Bone Morphogen Protein 2 (BMP2) is a powerful signaling molecule that is made during development, healing, and other significant physiological events. During the development of the heart, BMP2 modulates the activation of cardiac genes. In culture, BMP2 can protect heart muscle cells from dying during serum starvation. Can BMP2 affect hearts that have just experienced a heart attack? Scientists from the laboratories of Karl Werdan and Thomas Braun at the Max Planck Institute or Heart and Lung Research in Bad Nauheim, Germany have addressed this question in a publication in the journal Shock. In this paper, Henning Ebelt and his colleagues Gave intravenous BMP2 to mice after a heart attack. CD-1 mice were subjected to LAD-ligation to induce a heart attack (LAD stands for left anterior descending coronary artery, which is tied shut to deprive the heart muscle of oxygen). 1 hour after the heart attack, mice were given 80 microgram / gram of body weight of intravenous recombinant BMP2. The hearts of some animals were removed 5-7 days after the heart attack, but others were examined 21 days after the heart attack to determine the physiological performance of the hearts. Control animals were given intravenous phosphate buffered saline. The extirpated hearts were analyzed for cell death, and the size of their heart scars. Also, protein expression analyses showed the different proteins expressed in the heart muscle cells as a result of BMP2 treatment. Also, the effects of BMP2 on cultured heart muscle cells was ascertained. The results showed that BMP2 could protect cultured heart muscle cells from dying in culture if they when they were exposed to hydrogen peroxide. Hydrogen peroxide mimics stressful conditions and under normal circumstances, cultured heart muscle cells pack up and die in the presence of hydrogen peroxide (200 micromolar for those who are interested). However, if cultured with 80 ng / mL BMP2, the survival of cultured heart muscle cells greatly increased. When it came to the hearts of mice that were administered iv BMP2, the BMP2-administered mice survived better and had a smaller infarct size (almost 50% of the heart in the controls and less than 40% in the BMP2-administered hearts). When the degree of cell death was measured in the mouse hearts, those hearts from mice that were administered BMP2 showed less cell death (as determined by the TUNEL assay). BMP2 also increased the beat frequency and contractile performance of isolated heart muscle cells. FInally, the physiological parameters of the BMP2-treated animals were slightly better than in the control animals. The improvements were consistent, but not overwhelming. Interestingly, when the proteins made by the hearts of BMP2- and PBS-administered animals were analyzed, there were some definite surprises. BMP2 normally signals to cells by binding a two-part receptor that sticks phosphates on itself, and in doing so, recruits “SMAD” proteins to it that end up getting attached to them. The SMAD proteins with phosphates on them stick together and go to the nucleus where they activate gene expression. However, the heart muscle cells of the BMP2-administered mice did not contain heavily phosphorylated SMAD2, even though they did show phosphorylated SMAD1, 5, & 8. I realize that this may sound like Greek to you, but it means this: Different members of the BMP superfamily signal to cells by utilizing different combinations of phosphorylated SMADs. The related signaling molecule, TGF-beta (transforming growth factor-beta), increases scar formation in the heart after a heart attack. 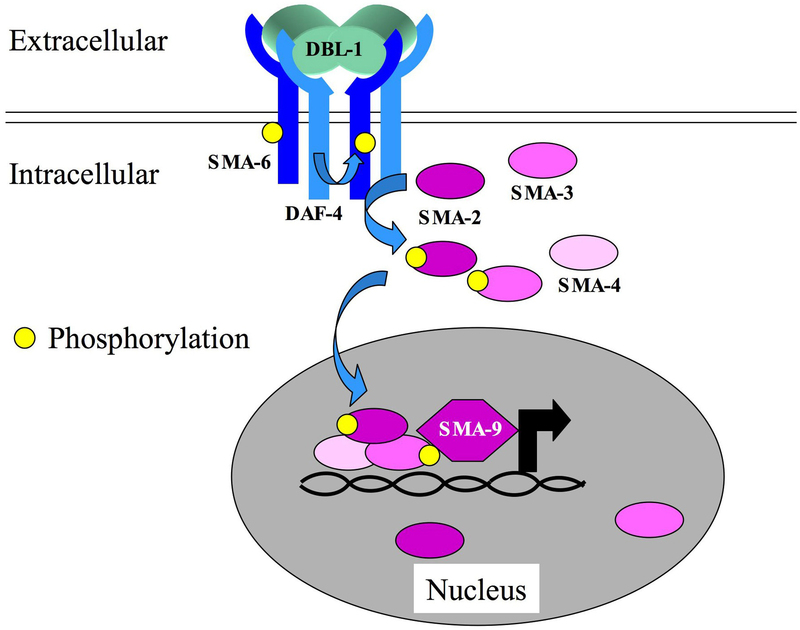 TGF-beta signals through SMAD2. BMP2 does not signal through SMAD2, and therefore, elicits a distinct biological response than TGF-beta. These results show that BMP2 administration after a heart attack decreases cell death and decreases the size of the heart scar. There might be a clinical use for BMP2 administration after a heart attack. See Henning Ebelt, et al., Shock 2013 Apr;39(4):353-60. Bone injuries and bone diseases sometimes require bone grafts for proper treatment. In order to find bone for implantation, orthopedic surgeons often take bone from other locations in the body, use bone from cadavers or synthetic compounds that promote the formation of new bone. Bone grafting is a complex surgical procedure and even though it can replace missing bone, it poses a significant health risk to the patient, and sometimes completely fails to foster proper healing. Bone has the ability to regenerate, but it requires very small fracture space or some sort of scaffold in order to make new bone. Bone grafts can provide that scaffold. A bone graft can be “autologous,” which simply means that the bone is harvested from the patient’s own body (often from the iliac crest), or the graft can be an allograft, which consists of cadaveric bone usually obtained from a bone bank. Finally, synthetic bone grafts are made from hydroxyapatite or some other naturally occurring, biocompatible substance such as Bioglass, tricalcium phosphate, or calcium sulfate. Making natural bone from stem cells is one of the goals of regenerative medicine, and work from Irving I. Weissman at Stanford University has shown that this hope is certainly feasible. Weissman and his colleagues evaluated the ability of embryonic stem cells and induced pluripotent stem cells to form bone in a culture environment known to induce bone formation in most circumstances. This culture system (known as an osteogenic microniche) consisted of a scaffold made of poly – L-lactate coated with hydroxyapatite and stuffed with a growth factor called bone morphogen protein-2 (BMP-2). BMP-2 is a known inducer of bone formation and this scaffold is placed inside the bone of a laboratory animal that has suffered a fracture. 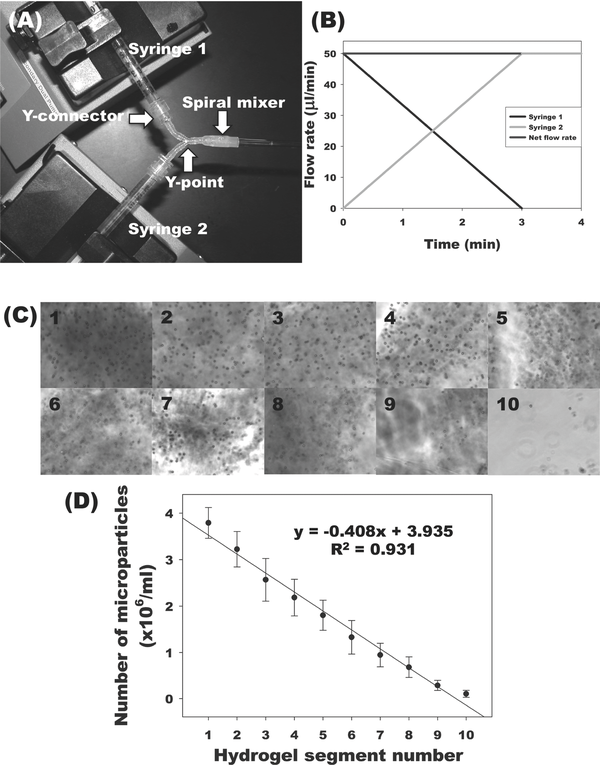 After implanting pluripotent stem cells into these osteogenic microniches, they were very pleasantly surprised to find that both embryonic stem cells and induced pluripotent stem cells embedded themselves into the scaffold and differentiated into bone making cells (osteoblasts). They also made new bone and did so without forming any tumors. These results suggest that local signals from the implanted scaffold and the genera environment within the bone directed the cells to survive and differentiate into osteoblasts. Thus pluripotent stem cells may have the clinical capacity to regenerate bone, which would, potentially preclude the need for risky bone grafting procedures. See Levi, B. et al., In vivo directed differentiation of pluripotent stem cells for skeletal regeneration. PNAS November 20, 2012, doi:10.1073/pnas.1218052109.